Coated Calcite Powder - Mahaveer Mineral from India. We can offer Micronized Calcite and Calcite quarry stone. It is Used for paint industries,paper production,plastic prodcution,chemical production etc. it is one of the most widely distribute minerals on the Earth’s surface. It is a common constituent of sedimentary rocks, limestone. It is also the primary mineral in metamorphic marble. It also occurs as a vein mineral in deposits from hot springs. Calcite is often the primary constituent of the shells of marine organisms, e.g., plankton. Calcite represents the stable form of calcium carbonate; aragonite will change to calcite at 470C, and vaterite, or CaCO3, is less stable. It has hardness of 3 and specific gravity of 2.71, and it can be luster in crystallized varieties.it’s Colour is white or colourless. Calcite is transparent to opaque and may occasionally show phosphorescence or fluorescence. It is the best known because of its power and produce strong double refraction of light. their beautiful transparent variety used for optical purpose called Iceland spar. Single calcite crystals display an optical property called bifringes At a wavelength of ~590 nm. Calcite in polarised use mostly as filler in rubber and textile goods in a considerable quantity and also used in the ceramics industry for the preparation of glazes. 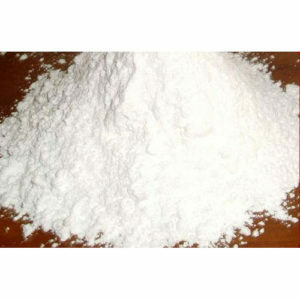 Super white quality of calcite in powder form (-300 mesh).calcite powder is used in the manufacture of paint and distemper and also used in the manufacture of cement.calcite is an insecticide. The mineral must be in pieces at least 25mm long, 12mm thick, colourless, transparent. Economic grade coated calcite powder pure Caco3. Used in plastics, PVC pipe, profile, recycle plastic etc.